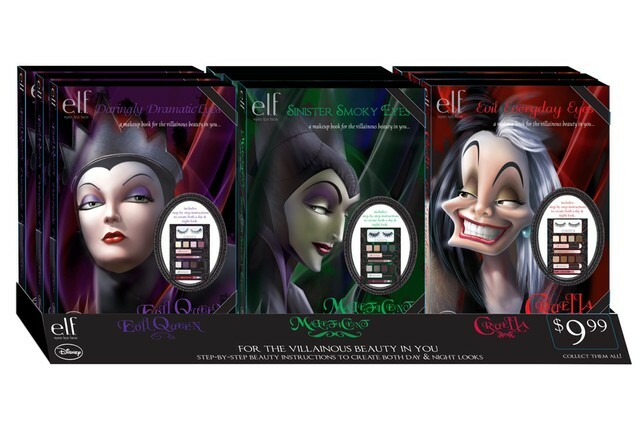 Is there such a thing as too many Disney-inspired cosmetics items? I personally don't think so, at least yet! Pixi Beauty's Tinkerbell Collection, MAC's Venomous Villains, the upcoming Sephora Disney Princess-inspired beauty range collection, OPI's Alice in Wonderland (I'm sure there are others that I've missed), and now, according to WWD.com, e.l.f. Cosmetics will be releasing a Villains Palette Collection. The palettes are priced at $9.99 and will be offered exclusively at 5,000 Walgreens stores beginning month. Walgreens owns and operates about 8,000 stores, so you may have to hit up a couple of locations before you find these cute palettes! omg I must own these!! so excited!! Horray for Disney themed makeup!